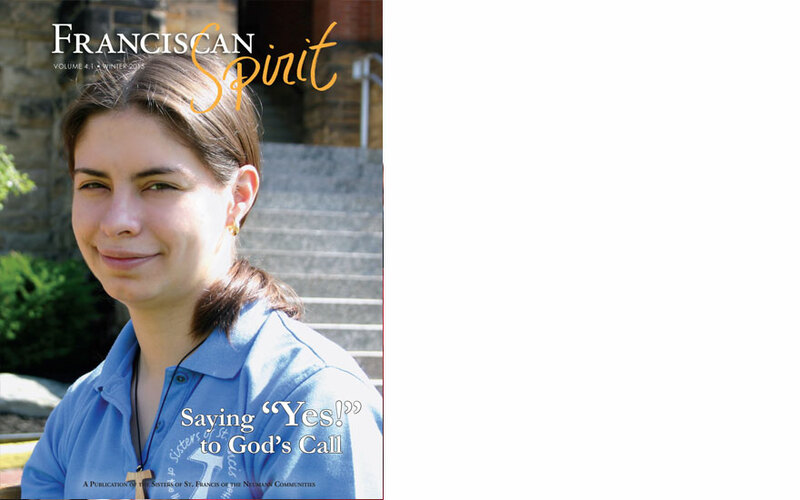 Franciscan Spirit magazine reflects what it means to live the Gospel as Sisters of St. Francis of the Neumann Communities in our everyday lives. The spirit of Franciscan life is best described as: a joyful attitude, simplicity of heart, giving praise and thanks and greeting all with peace. Our hope is that concepts like these will come alive in the people you meet in this publication we call Franciscan Spirit, and that you will be inspired to partner with us in our mission.